When posting to social media channels, seemingly minor formatting mistakes can render your well-crafted content into a sloppy mess. From time to time, social media platforms update their format requirements. Image dimensions vary according to their function and placement, including elements like profile pictures, timeline images, and even digital advertising. 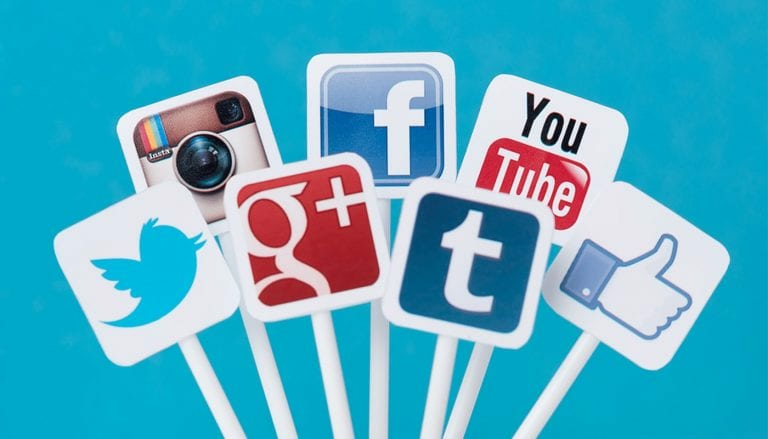 As the social media marketplace becomes increasingly competitive, the need to optimize your content per the regulations of each platform is more important than ever. Use this guide from Front Porch Solutions as a cheat sheet for social media specification updates for 2018. Keep your social media profiles in tip-top shape in 2018 with these updated specifications. As the most popular social media platform, Facebook currently boasts over 2 billion monthly users. With such a saturated market, you’ll want to make sure that your brand’s profile follows the rules, so your profiles are easy to find. TIP: If your brand uses Facebook Advertising for self-promotion, there are several more advertising options (and therefore varying image dimensions) to be aware of. For example, Carousel ads require square pictures with a recommended size of 1080 x 1080 pixels, while Canvas ads have an image spec size of 1200 x 628 pixels. Check out this more in-depth guide to Facebook Advertising image sizes. After Facebook acquired it in 2017, Instagram has grown exponentially to over 800 million monthly users. As we all know, Instagram is a platform that relies heavily on compelling visuals so select imaging that’s up to par. But first, make sure you know the basic specs so your subject matter displays correctly. Then, work on how to stand out from the crowd. TIP: Instagram Stories, a relatively newly released and increasingly popular aspect of the platform, works best with vertical images. But there are a few workarounds including rotating your landscape picture 90 degrees in your phone’s photo app before uploading. Or download an app that expands Instagram Stories features, like Infinite Stories for iOS. After a stagnant period, Twitter is enjoying new user growth, and the company is narrowing their projected losses to a four percent drop in profitability. The company is ramping up efforts to attract and retain users including increasing character limits to 280 per tweet and adding new features like live video capabilities. TIP: With the influx of users came fierce competition and as a result, many brands have felt the effects of decreased engagement. Instead of relying solely on mass messaging your followers, try initiating one-on-one conversations and creating personalized experiences. Third-party software like Hootsuite or SproutSocial can help streamline these efforts and keep your communication organized. LinkedIn is a platform for professional social media networking. With more than 530 million active business professionals—nearly 50 percent of those employed as decision-makers for their company—brands can grow through referrals, endorsements, networking and mentorships via LinkedIn. TIP: Take your LinkedIn strategy to the next level by utilizing some of the 1.6 million LinkedIn Groups. LinkedIn Groups can help strengthen your brand’s online reputation through networking with like-minded professionals, receiving constructive feedback on posted content, and sharing valuable, industry-relevant information. If your industry or topic doesn’t have a group yet, create one! Through the YouTube social media network, small businesses have the opportunity to compete with big brands. Every day, more than 1 billion hours of videos are watched on YouTube, which makes it a perfect platform to showcase your company’s short videos. Don’t have a big budget for video production? Try using slides or still images set to music with recorded voice-over commentary for an easy, effective approach to video content. TIP: Set up a customized YouTube Channel for your brand. Your business’ channel houses all your published videos and acts as your business profile page where you can add company information. Be sure to use keywords and keyword tags within your channels structure to optimize it for search. Google+, the social media arm of the larger platform Google My Business, is still seen as a necessary component to maintaining a social media presence. Active user numbers are low, but the platform still provides value for businesses that need to connect with potential customers through local mobile search. TIP: Instead of using Google+ the same way your brand uses Facebook or Twitter, where real-time content discovery is king, try sharing photos of office culture or showcase new products. Use Google+ as a platform that provides potential customers with a comprehensive overview of your brand. Though Pinterest isn’t a social media mammoth like Facebook or Instagram, it is still thriving network with over 200 million active monthly users. Pinterest is the place to be for Millennials and 68 percent of U.S. women, ages 25-54. No longer just a place to save wedding inspiration or trendy recipes, Pinterest is proving itself to be a vital platform for businesses. TIP: First, add Save buttons to your brand’s website so visitors can Pin your content quickly and easily. Then utilize Rich Pins which pull metadata from your site to provide additional information for users about what they will find when they click on a Pin. For articles, Rich Pins will include a headline, author, date of publication, a summary, and an optional call-to-action. Social media has long been a powerful tool when it comes to brand building. But to make your efforts worthwhile, you must follow the parameters set in place by the platforms. Looking for more guidance or wondering where to start with social media set-up? Contact Front Porch Solutions. Our highly skilled team members are social media experts who ready to help your brand grow its online presence.